I need to explore that most unique, though brief, portion of my tenure as a movie projectionist — that of Amateur Night. To recollect and get it straight these many years later, I called upon and interviewed my only brother (the very one I’ve mentioned throughout the series). His answers to some of my questions I have incorporated below — and into the remaining segments in the series, whenever possible. Since his movie screen was now independent (no longer tied to theater chains), he moved its content over to a combination of spanish language-dubbed or -subtitled versions of popular (though older, previous released) U.S. movies. Or sometimes, the comparable Mexican studio films obtained from local movie distributors. My brother had seen all of this and more. 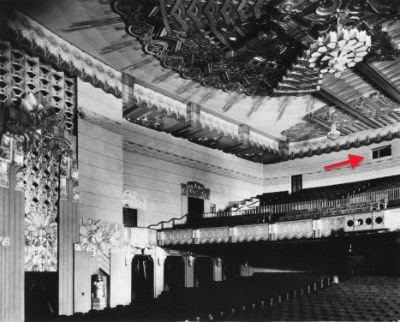 Months before, the owner sought and scheduled professional acts to augment the movie content and draw more faces inside the hall. Talented Mexican and Mexican-American singers, mariachi bands played on Friday and/or Saturday nights for the paying customers. Most of which were the older hispanic generations who arrived decades ago from the post-WWII period, just like mine, as well as burgeoning new latino immigrants. The reason the owner could do this was fairly simple, and purely structural. Only the Huntington Park Warner had an actual stage that could accommodate the music acts. While all of the indoor theaters in the area had movie screens, only one had a true stage deck. It had what’s known as a proscenium stage, and it included its own functional backstage/wings with full rigging, a curtain and lighting system. Even, though at that time sealed, an orchestra pit. 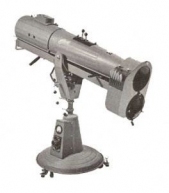 In fact, its moderately large projection booth (it easily fit three projectors) had, off to the side of the projectors, a dedicated portion with its own wide (retractable) window opening (highlighted in the image below), for a carbon-arc spotlight. From this high perch, one could easily sweep the boards with bright luminescence. The noted pair of the Wiltern and Pantages are still standing, doing concerts or stage plays to this very day. “I think there was a point where he (the owner) was trying to become progressive, and then, of course, he started having entertainment. He had some big acts that came down, in the hispanic markets. So, there came a point where he got me involved in a lot of activities because he wanted me there all of the time, more and more (even though he was bringing in other people because it started to get busy). So he would have these acts come in and I would be on the spotlight, controlling some of the lights. He being the senior projectionist, went through this particular span in the tenure. Toward the end of this particular stint, the owner added an amateur portion to his entertainment scheme. I believe the pro nights were over by the time I arrived, or soon would be. But, the amateurs certainly hadn’t left town. Think of this back then as a premature and less glamorous version of American Idol. Only this weekly competition always seemed to represent those early, painful episodes in a season when the talent was permanently thin. And all the while being decidedly low budget. Imagine yourself endeavoring to man a spotlight, attempting to follow overly dramatic performers belt out their favorites on a stage four stories below you. That was my primary role those nights. Absolutely no one stood still when they did this, mind you. And if you tried to anticipate where they were going…well, let’s say it was never boring. It’s like trying to take a good picture of your cat…after she’s has sipped from your Jolt Cola. Undoubtably, the first was the #1 song performed those evenings. Even my brother would occasionally intone Besame Mucho years later. I guess you had to be there. Covering Thursday night shift did not last long, however. Due to the turnover that plagued the establishment, I’d move into the second crew slot and it’d be the new guy’s responsibility. The owner would also shift the theater’s content away from the live entertainment they once championed, too. What can I say, it was the 70s. Still, Amateur Night remained seared into my mind, then and now. Likely, because this was the brief period when my brother and I worked right beside each other in a very unique job — call it a shared experience. Outside of the time we sold newspapers as kids in front of the local market, or as I helped him deliver newspapers to sleeping homes at o-dark-thirty, this was the last time we worked together in our lives. See what I mean? ¡Especial! In the 1980s my Dad tried to get an old time Spook Show going at the Rialto Theater in South Pasadena. The local rules managed to stifle it. 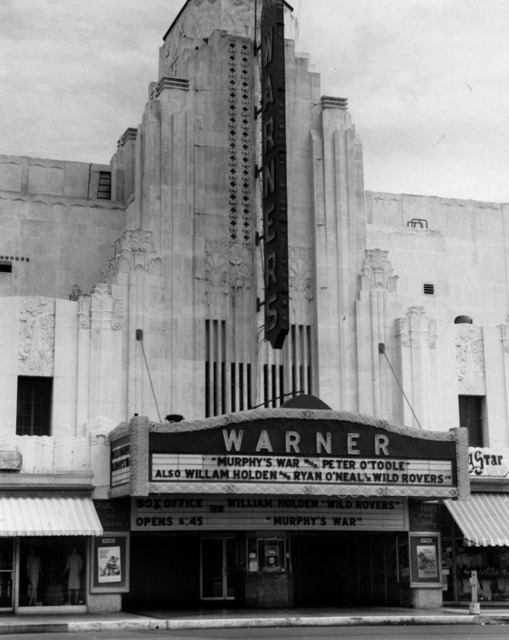 I wonder what loopholes and red tape the owners of the Warner had to maneuver through to get live acts in a business licenced for showing films. This is an interesting series of posts. Thanks for more local history. Sorry for responding so late, Richard. Many thanks. Oh, it’s a great torch ballad. Thanks for the kind words and forgiving my lateness in responding, Ruth. Welcome, Jesue, and thank you very kindly. your brother sounds like my kinda guy! ha 🙂 another great read sir!